DHBC is located in the Inner West of Sydney, Australia. We are an non-profit Incorporated Association. Our members share the common goal to participate in, promote and organise competitive and recreational bicycle riding whilst having lots of fun. DHBC loves the track and there is a large and active group fo track riders covering most disciplines of track racing. The track program may be broken down into three main areas; training, club racing and opens/state title events. Training is on every Monday and Wednesday at Tempe velodrome from 6:30pm and is open to everyone with at minimum a 'Silver Ride' Cycling Australia (CA) membership (DHBC membership is the same thing). You can always come down to watch and have a chat to the trackies if you don't have a license. Track cycling is great way to gain fitness in a safe environment away from the busy hustle and bustle of the increasingly dense Sydney traffic. There is a form of racing for everyone, and events are available that cater for all levels of experience and talent. In Winter we race at the much anticipated Friday night Race All Winter (RAW) series at Dunc Gray Velodrome. During the opens season we try to ride the whole calendar & represent the club at state events. DHBC have finished as Club Champions of the highly rated RAW track series almost every year for the last seven years. See the DBHC Track Facebook group for all the latest news and the DHBC Calendar for upcoming events. You must have at least a 'Silver Ride' membership (or of course a Gold Racing licence) from Cycling Australia to participate in track training. See the How To Join page for all the info on getting a licence and joining DHBC. Whether you're after some bunch training, long tough racing on country roads, a high-speed adrenaline-packed criterium, or just a nice relaxing ride with some friends, uphill, downhill, head-winds and rain then we're the club for you (well, not so much the rain). You'll need to wear an approved helmet on all rides, have functioning front and rear lights for any pre-dawn starts (like in the colder months) and we do not allow the use of personal music players as they may limit your ability to hear calls and stay safe in the bunch. You should also be familiar with bunch riding calls, procedures and techniques. 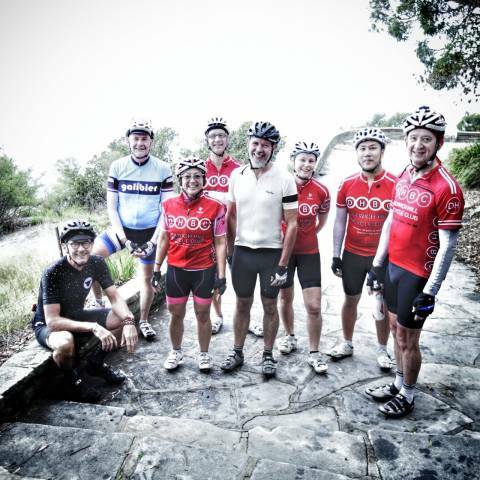 Dulwich Hill Bicycle Club conducts at least seven road rides every week. Saturday Slowies and the Sunday C25 cruisers bunch road rides are generally led by riders who hold a CycleSkill's (or higher) Coaching accreditation from Cycling Australia (CA). If one of these members is unavailable, each bunch will most often be led by a rider with considerable experience of the course and the experience to perform minor repairs. For those who are fairly new to riding, we promote a 'try before you buy' (at your own risk) policy for your first two or three road rides. After that we do insist you make a choice of wanting to join the club and get a licence, or not proceed with riding with the club. See this link for details on how to join DHBC. If you are already a CA member with another club then you are also welcome to join our rides. Note that to ride Waterfall in fasties or middies you must be a club member. All rides start from Alex Trevallion Plaza, next to the Post Office at cnr Silver St and Marrickville Rd, Marrickville (276 Marrickville Rd - see map below) unless otherwise noted. If its raining, it's probably off ... unless you adhere to rule #5. All rides finish at the Marrick Cafe at 212 Marrickville Rd, Marrickville. Saturday SlowiesSaturday Slowies is our ride for everyone! Once you arrive in the park, go as hard or as easy as you like. Hit the hills or cruise the flats, but be at the Western (Robertson Rd / Horse) gates by 8:00am to return to Marrickville with the bunch for coffee and breakfast at the wonderful Marrick Cafe. Remember that following two or three rides, we ask that you join the club and obtain a 'Silver' license from Cycling Australia. This ensures that our ride leaders have the comfort of knowing that you are insured and helps to build DHBC as a club. You will never be left behind on Saturday Slowies: someone will always get you back to the starting point of the ride and help you out if you have a flat or a mechanical. Outgrown Sat Slowies? Want to get some hills and more distance on a Sat? This ride is for experienced C28+ pace riders (not that the avg will be 28kph but you get the idea). The bunch will wait at the top of the climbs for the last rider so you won't get dropped. The ride will depart from the Alex Trevallion Plaza at 6:00am sharp and head via Newtown and Redfern (the slowies route) to Centennial Park then Bronte, Bondi, Watsons Bay, Rose Bay, Bondi Junction and then back to the park to meet up with Slowies. Not for the inexperienced. There won't normally be a CycleSkills Coach joining this ride (but they may attend from time to time). 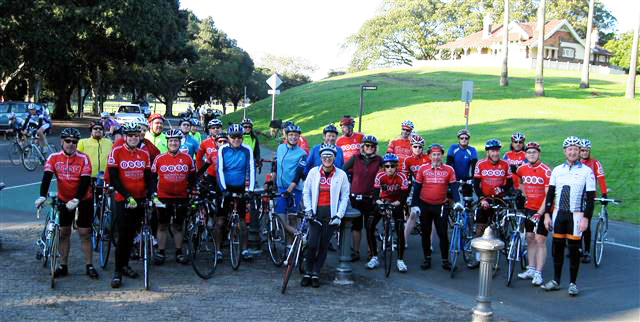 Every Sunday morning, DHBC has four bunches riding the 76kms from Marrickville to Waterfall and back starting at 6:30am from the Alex Trevallion Plaza, cnr Marrickville Rd and Silver St. This ride takes between 2.5 and 3.5 hours (depending on which bunch you're in) and involves riding in a bunch on major roads with sometimes heavy traffic and some 650m of climbing (hills). DHBC sends four bunches to Waterfall - the bunches leave approximately 1 minute apart, from fastest to slowest. Average speeds are indicative only (except for C25's) as it depends on who turns up on the day. With a target average speed of 25kph, this is the place to start your Waterfall experience as it is a no-drop bunch: assuming you can ride at the required average speed for the 76kms, you'll never be left behind and someone will always get you back to the starting point of the ride unless you are physically unable to ride (or continue) at the required speed, in which case you may be asked to catch a train home. The whole bunch stops for flats and mechanicals and you'll almost always have an accredited CycleSkills Coach leading the bunch, although this is not always possible. Note that the C25 cruisers bunch will stick as close as possible to the advertised average over the length of the ride. Other bunches may (will!) vary depending on which riders turn up on the day. Click this link for a map of the route. Royal National ParkThe ride will leave Alex Trevallion Plaza at 6.00am sharp and returns around 9.30 to 9.45am. It's a ride suited for strong C28+ riders and above. Pace going out should be somewhere between C28s/Middies with each group to find the right speed, making sure everyone stays together. The idea is not to blow everyone up prior to taking on the RNP. Waiting for riders at the top of hills in the Park at appropriate waiting points will be required as well. Odd Weeks (1st, 3rd and 5th Sunday) will be in at Waterfall, and Even Weeks will be in at Audley (or whatever the bunch decides). This ride is for experienced C28+ and Middies riders (its fast!). The ride will depart the Alex Trevallion Plaza at 5:30am sharp and head via Newtown, Alexandria and Moore Park to Bronte, Bondi, Watsons Bay, Rose Bay, Bondi Junction and then on to Surry Hills for coffee, off to work or back to Marrickville. Six Hills. Not for the inexperienced. Check out a profile here. There won't normally be a CycleSkills Coach joining this ride (but they may attend from time to time). Eastern HillsThis ride is for experienced C28+ riders. 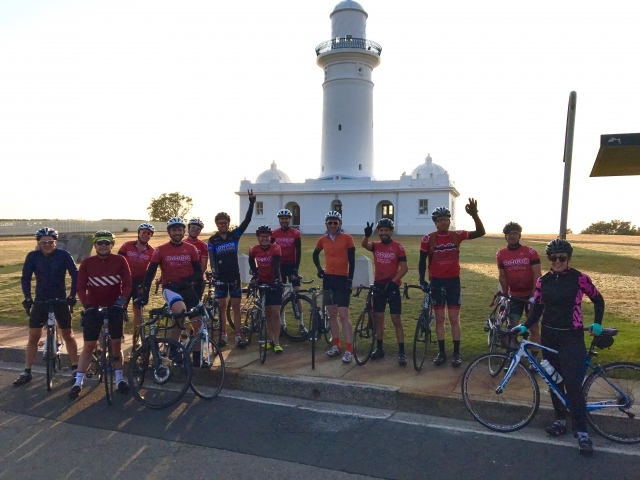 The ride will depart the Alex Trevallion Plaza at 6:00am sharp and head to La Perouse usually ending up in Surry Hills for coffee and an option to head straight back to Marrickville. There won't normally be a CycleSkills Coach joining this ride (but they may attend from time to time). Both rides depart from Alex Trevallion Plaza at 5:30am and go through Newtown, Redfern and Centennial Park. At the top of Queens Park Road (The Corkscrew) the forward bunch will turn right towards Bronte and follow the Tuesday Hills route. The reverse bunch will turn left and head towards Bondi Junction. The routes are very different, offering a bit of variety for members. Both bunches meet up at the top of Bellevue Hill to head back towards the city. This ride is for experienced C28+ pace riders and there won't normally be a CycleSkills Coach joining this ride. Mosman Alps - Bradleys HeadThis ride is for experienced C28+ and Middies riders - its fast! 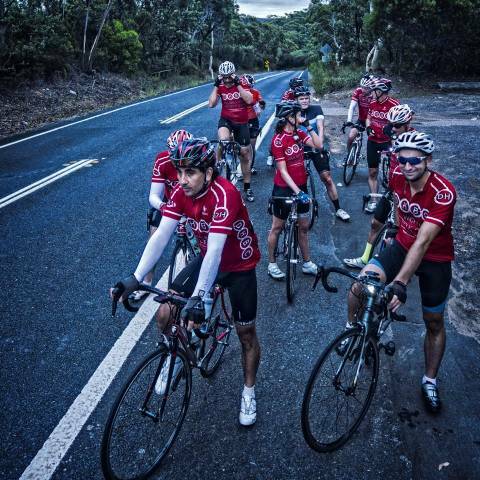 The ride will depart the Alex Trevallion Plaza at 5:15am sharp and head towards the Harbour Bridge. Other pick up points are the corner of Wattle St and Broadway, Ultimo at 5.30am and the Southern Pylon to the Sydney Harbour Bridge at 5.45am. It is a challenging ride, it covers 50KM and 1,000M of climbing. Mosman, Balmoral, The Spit and Cremorne are often visited. You should be comfortable achieving the Tuesday East Hills ride and riding in variable traffic conditions. The Bunch regroups at the top of each of the major climbs. If you don’t stop for coffee you can expect to get back into the City by 7.45am. Not for the inexperienced. Check out a profile here. There won't normally be a CycleSkills Coach joining this ride (but they may attend from time to time). Once a month, we try to arrange a ride to a destination other than Waterfall or RNP. Click this link for details about these rides. 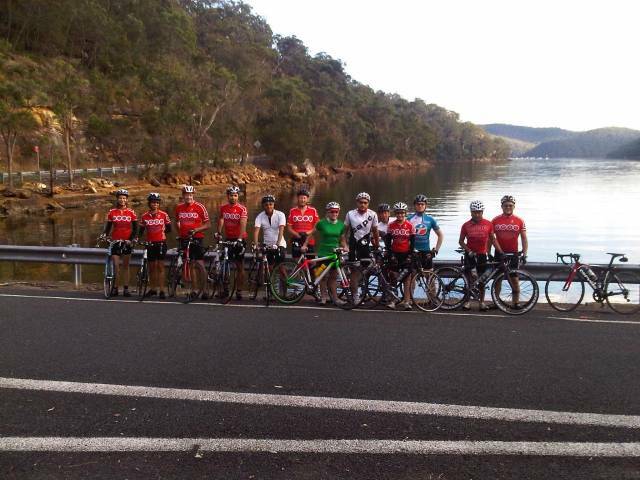 DHBC has a regular Thursday morning ride for women. The ride is paced at about 22km/h and suits novice to experienced road riders. 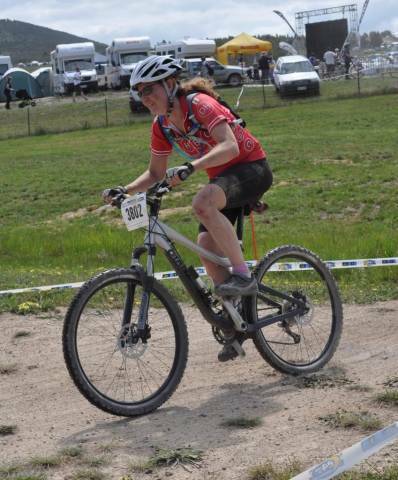 The ride is lead and mentored by experienced women ride leaders and coaches. Assistance is provided with mechanicals and flat tyres. No one is left behind. 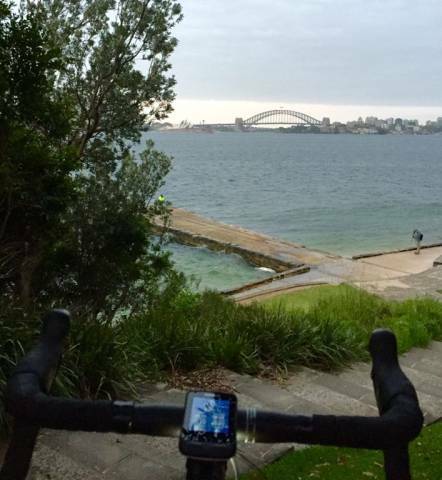 The ride leaves Marrickville via Centennial Park and heads down a safe route to Sydney’s famed La Perouse. Return via Anzac Parade to Surry Hills for coffee around 7:30am depending on speed. The ride is run every second Thursday (counted from the 30th July 2015). The ride can be joined at 5:30am at the Post Office Square Cnr Silver St and Marrickville Rd Marrickville OR at 6:00AM Robertson Road Gates Centennial Park. Our club has a long tradition of road racing. We race in opens (unrestricted entry for higher levels of competition) as well as at club level and try to get as many participants on the start line as possible. 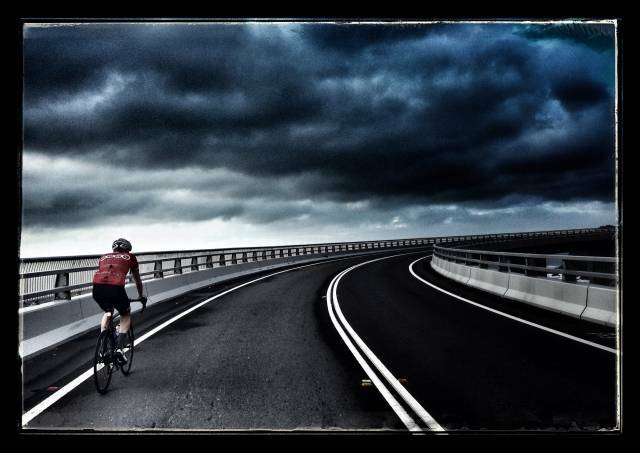 For road opens we travel all around the state racing the complete Cycling NSW road calendar. At a club level, there are various racing options organised by our fellow Sydney clubs (Waratah Vets for 30+). A nice calendar of races in Sydney can be found at http://cabici.net/races/. 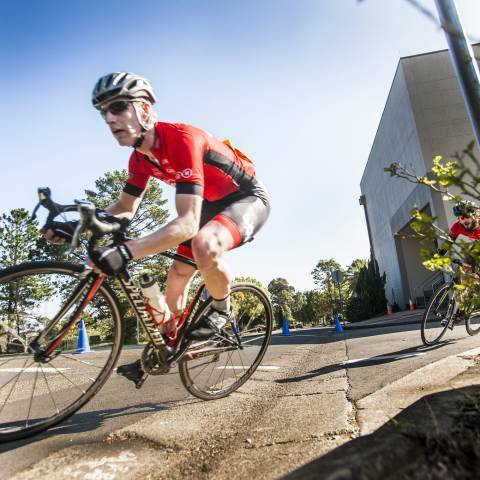 For 2015 DHBC will be attempting to establish semi-regular club racing at Rookwood, so stay tuned. For those who love tradition or simplicity, a number of riders choose fixed gear bikes. 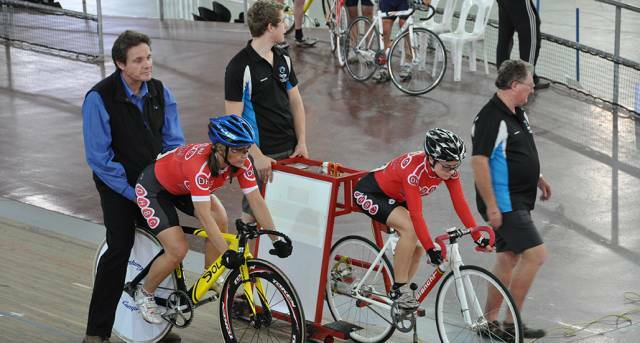 Fixies are well supported within our club, and are a great way to gain some extra fitness and train for track racing. DHBC does not however encourage the riding of a fixie on our training rides unless you are a fit, very experienced fixie rider, with two functioning brakes. DHBC strives to run safe bunches and prides itself on being a good 'cycling citizen'. We obey the road rules and take safety very seriously. By riding with the Club each rider accepts the inherent risks which they knowingly expose themself to. If the rider is not prepared to accept responsibility for these risks themself, they must not ride with Dulwich Hill. Riding with the Club constitutes acceptance of responsibility for these risks by each rider. The Dulwich Hill Bicycle Club does not take responsibility for the conduct or safety of the training rides detailed here. Cycling training and riding in a bunch on public roads can be dangerous and you do so at your own risk. For those that love to ride the trails and get into the dirt, mud and rocks and those beautiful single track moments, DHBC has many active mountain bikers participating in racing and recreational MTB riding across the state. There are also those who venture out to tour using a mountain bike to access those harder to get to places and back roads. DHBC riders participate in races such as the Scott 24 hour; The Angry Doctor; The Highland Fling; Jetblack 24 hour; Dirtworks 100k; Mont 24 hour; Three Ring Cirus and other curiously named tests of stamina and sanity. So if mountain biking is your thing, or if its just one part of your cycling repertoire you'll find many like minded riders here at DHBC. Races and competitions were not the only issues that dwelled in the minds of many an early DHBC member. Long distanced social or touring rides were organised from the early days of the club. In fact the first social ride was held on the same day of the club’s formation (8th April 1908) when the new committee and members jaunted off to Gymea Bay. In the years that followed, touring rides to places like Windsor, Dolls Point, East Hills, Wallacia, Botany, and San Souci were held on a regular basis (Heathcote, p6). To this day the club maintains its ongoing tradition of very social, touring and ‘adventure’ rides, mostly based on camaraderie, a strong sense of adventure and tinged with a little competitive spirit.